Carrying capacity is how many animals your pasture can support in a period of time. Carrying capacity is a measure of grass or forage available. Stocking rate is how many animal units (AUs) of livestock are grazing or using the land in a certain period. Stocking rate is a management decision of how many cattle to put on the pasture. The difference between continuous grazing or set-stock grazing and adaptive grazing is time. Instead of viewing stocking rate and carrying capacity as fixed numbers, adaptive grazing management thinks of these as variables that change over the season. Start with estimating your pasture inventory in each pasture. 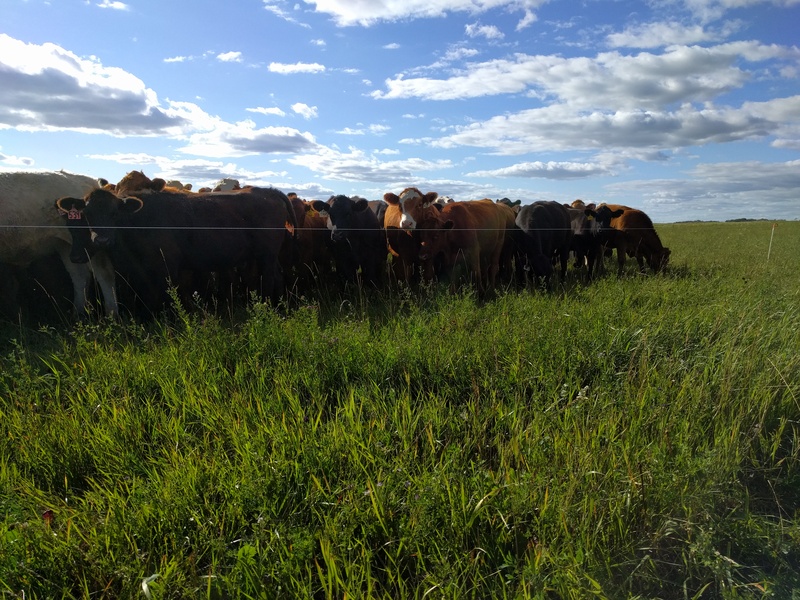 If you haven't yet, read our post on how to calculate pasture inventory. In adaptive grazing, the pasture inventory is estimated in Stock Days / Acre (SDAs) or Animal Days / Acre (ADAs). Stock Days / Acre (SDA) or an Animal Day / Acre (ADA) is a measure of grass or forage available. This is your carrying capacity. A Stock Day is the same as an Animal Day or one cow-day. One Animal Unit Day is how much one 1000 lb steer will eat in one day at 3% body weight. Once you have estimated pasture inventory, calculate total carrying capacity in each pasture. Your carrying capacity is the total ADs in each pasture. If you need help estimating pasture acreage, PastureMap helps you draw your pastures and estimate acres. Now that you know how many ADs are in your pasture, you need to estimate how many units to run. Stocking rate is how many Animal Units (AUs) you can run, for what period of time. An animal unit (AU) is one 1000 lb steer eating about 3% body weight per day. You might have avg 800 lb steers, so each of them is 0.8 AU. If you have a herd of 100 of them, you have 80 AUs. 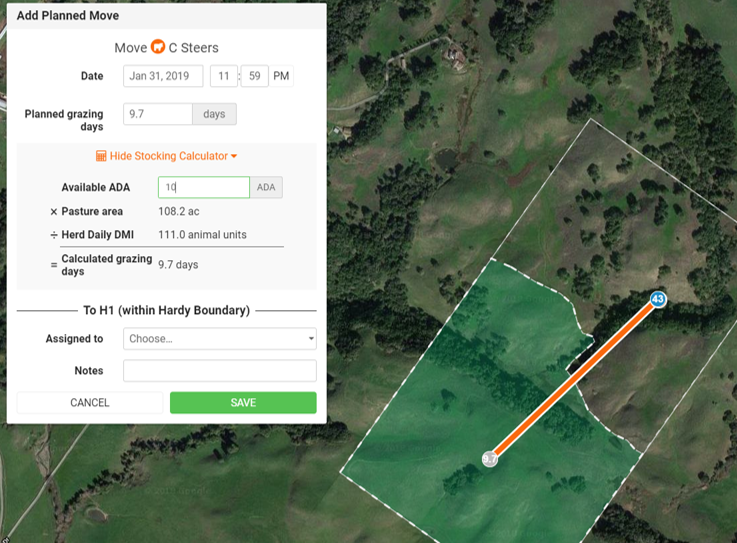 If you're practicing management intensive grazing, and moving multiple times a week, PastureMap's stocking calculator does the grazing math for you on each pasture. But for anyone who's trying to do it without a stocking calculator, knowing your AUs makes the mental math quicker. Key Takeaway: Stocking rate and carrying capacity are functions of animals, grass, and time. Your management is what takes carrying capacity, adjusts stocking rate, and determines grazing periods to match supply and demand throughout the season. This is adaptive grazing management. Ready for a simple tool to calculate stocking rate and carrying capacity? 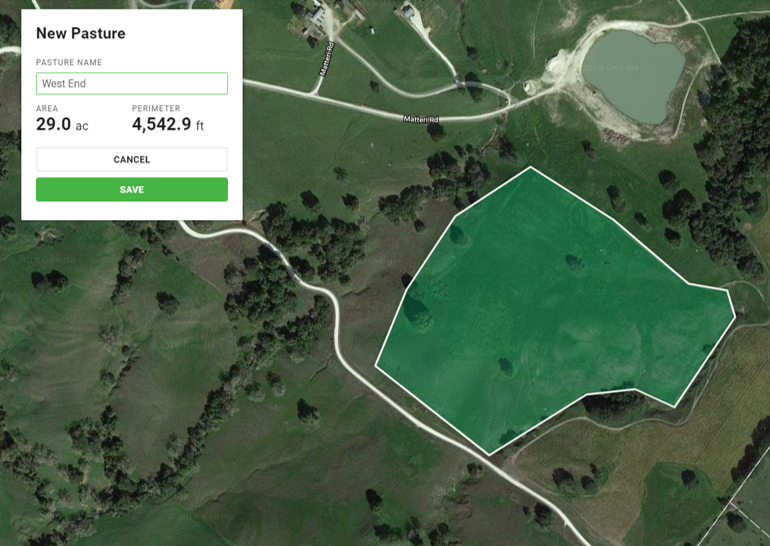 Try PastureMap for free and make the grazing math a breeze using our stocking calculator. The best way to plan grazing management decisions is on a grazing planning chart. Read more how to use a grazing planning chart.